As a Foundation Trust School, North Huddersfield Trust School works in partnership with our Trust members who support the school through providing extra opportunities for students and their families both in and out of school. Click on the name of the Trust Partners to see their website and learn more about their work. Beneath each Trust partner we have listed just a small sample of additional opportunities each Trust partner has provided. Conscious Youth can bring many links as a Trust partner, including access to local funding, youth-led projects, invitations for students to attend and perform at local events, peer mentoring opportunities, local youth provision and local volunteering opportunities. I am a mother, wife and business owner. I also now have the title of school governor. I was brought up in the Ashbrow Ward but have travelled many places. I studied LLB Law at Leeds Beckett University and proceeded to work as an Operations Manager in a fast paced sales environment. I am very passionate about young people, their future, how they develop and decided that moving into running my own business as a youth and community facilitator and event organiser was a natural fit. After the loss of my daughter to anencephaly in 2016, I wanted to help young people be heard, to learn how to find who they are and what they stand for. This drove me to step out of my comfort zone and set up my own business, alongside one of my closest friends and thus Conscious Youth was born! 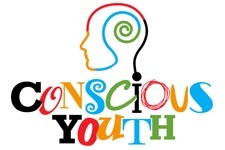 Conscious Youth is a community organisation based in Huddersfield, which is led by and for young people. We seek to redress the balance by developing Young People’s skills, knowledge and aspirations. The work we do focuses on creating & delivering preventative youth work through youth clubs, projects, programmes & events for young people between the ages of 13 – 24. The young people we work with are from hard to reach, disadvantaged, LGBT & BAME communities. Our core aim is to improve the mental and emotional resilience of young people. Our work is centred on three key themes; community cohesion, active citizenship and personal development. In my spare time I am a volunteer public speaker for Forget Me Not Children’s Hospice and I play netball for a local team. I am Director Advanced Engineering where I lead a global engineering team to develop new products and systems to support the company’s future growth. The work involves managing projects, people, budgets and talking to customers across the world. I have a degree in Material Science and a PhD in Mechanical Engineering & Metallurgy. I started my career as a graduate engineer at GEC Alstom and joined Cummins Turbo Technologies in 1999 where I have held a variety of roles within the product development and customer facing teams. I enjoy participating in and watching most sports, and am a keen cyclist and football supporter. I have been a Trust Director since the formation of the school. 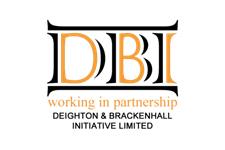 I have worked in the local area for over 20 years as the Chief Officer of the Deighton & Brackenhall Initiative (DBI), an organisation which has regenerated and transformed the local area. I am also involved in running local social enterprises which provide a range of valuable services and facilities for the local community and which provide employment for local people. I am also a governor at North Huddersfield Trust School and Ashbrow School, and Chair of the North Huddersfield Trust board of directors. I have been involved with the school for many years and am passionate about my involvement in its journey. I am married with two children and a grandson. Access to vocational courses such as Health and Beauty (using the Holmfirth High on-site salon) and Motor Vehicle Maintenance, joint student trips and team events, access to extra teaching materials and joint projects across curriculum areas. I have been involved in the leisure sector for the past 25 years, working with a range of local authorities, as well as a period of time with Sport England. Prior to working with KAL I worked for Leeds City Council for over 6 years, which provided me with a wide range of experience of working within a major city and the particular challenges faced there. 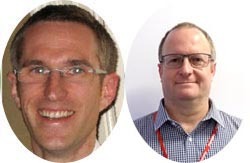 In July 2008 I was appointed to the position of Chief Executive with Kirklees Active Leisure and I thoroughly enjoy my current role, working with a variety of people and organisations to improve sport and leisure opportunities and provision for the people of Kirklees. KAL is honoured to be a partner of North Huddersfield Trust School and is committed to supporting the fantastic work that takes place there. I have worked in further education (FE) for over 30 years. My first job was at Central Manchester College as a lecturer in computer-aided engineering. I went on to spend 25 years in Manchester, at MANCAT and The Manchester College, progressing from lecturer to Senior Vice Principal before taking up the post of Principal at Bolton College in 2011. I joined Kirklees College as Principal in January 2017. As chair of the Greater Manchester Colleges Group, I have helped to develop significant collaboration between FE colleges in the district to improve curriculum quality and achieve greater responsiveness. I have been the FE representative in many forums including the Skills and Employment Partnership and worked closely with the Greater Manchester Combined Authority in the development of the skills aspects of the Devolution Agreement. I am passionate about education and providing opportunities for all. In my spare time I enjoy travel, especially walking coastal paths with my husband, and spending time with my two grown-up sons, often watching cricket. I have worked for Kirklees Council since 2001 and am a Senior Kirklees Learning Partner, specialising in secondary school improvement. My role is to ensure that school senior leaders are supported and challenged to deliver education that enables all pupils to achieve their full potential. I also work with school governors to support the development of whole school strategies and with school middle leaders to build capacity and develop knowledge and skills. I also provide support and guidance for Headteacher recruitment, performance management and training. My role as a Trust Director is both strategic and operational: I have a strategic role in ensuring I am able to signpost as appropriate any necessary support, guidance and advice from colleagues within the council: operationally I ensure links with other schools, curriculum groups and wider school improvement services. Overall I am the main link with the Learning Service and wider council services. I am a teacher by profession and have taught at both secondary and primary level in Kirklees – Physics at Shelley High School and Year 6 at Brockholes Primary School. I am also author of a series of ‘Caring for Kids’ parenting books. 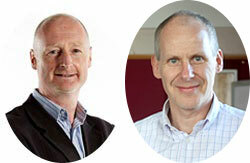 I now work alongside my husband Mark as Education Co-ordinator and Head of Community Liaison at One17. I am a Trustee of our own One 17 Design Charitable Trust and also a Trustee of the Huddersfield Town Foundation. I enjoy getting involved and supporting activities in our local community. Interests and hobbies – first and foremost is my family – always number one! I love to travel, but wouldn’t want to leave West Yorkshire on a permanent basis and I also ski, enjoy walking in the mountains and generally like to keep fit and active. I’ve been a Graphic Designer at One 17 Design for almost 20 years, after completing my studies at Honley High School and Batley Art College. I’m one of a two-man graphics team taking on a variety of work that a busy design practice creates, from websites and conceptual 3D designs to full corporate rebrand packages. We were also honoured to design the North Huddersfield Trust School prospectus. I live locally and have always been based in Huddersfield which enables me to be more in-touch with the local community. Also being one of the Trust partners really is a privilege and being able to provide resources and experience to the students is very rewarding. Outside of work I’m a keen cyclist, both on and off-road and regularly take part in race events….any opportunity to show off our One17 branded cycling kit!!! I like to keep fit generally and have competed in several triathlons and endurance events over the last few years. 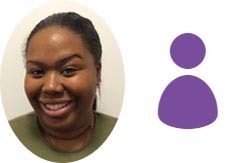 I started my working life as an apprentice with ICI at the age of 16 and continued my education by studying part-time, firstly at Huddersfield Technical College and subsequently at the University of Huddersfield. I attained a first degree in Business Studies and went on to complete a Master’s Degree in Human Resources Management, whilst also becoming a member of the Chartered Institute Personnel and Development. I have held management positions in Human Resources, Communications and Marketing for ICI, AstraZeneca and Syngenta. I enjoy spending time with my family, participating in sport and I have a passion for classic cars. I am a Maintenance Professionalism Engineer for the global science company, Syngenta. I joined Syngenta (or ICI as it was at the time) having completed an engineering degree at Loughborough University, and am a chartered engineer. I have done a number of engineering jobs for Syngenta and its legacy companies, most recently for the global arm of the business whilst based here in Huddersfield. I am married and have three teenage daughters. I am a member of the Huddersfield Elim Church, I enjoy watching rugby and I have recently started learning audio engineering and stained glass making. I joined the University of Huddersfield in 2003 as an Accounting Technician then subsequently took up the post of Finance Manager in the School of Human and Health Sciences. After being given the opportunity to study for an MBA at the University of Huddersfield, I took up my current role as Head of School Administration in 2015 and recently became a fellow of the Chartered Management Institute. 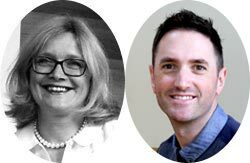 I am passionate about enabling people to achieve their potential and enjoy supporting both staff and students to help them along their path to making a difference. I am married and have triplets who have been an inspiration. I was previously a parent governor for 8 years and vice chair of a governing body for which I was honoured to be able to give something back to the School that taught my children. I like to keep fit and have taken part in the Manchester marathon and a number of triathlons and running events during the last three years.